3 holds in this set. Size Extra Extra Large. A very cool set of realistic crimp shapes. 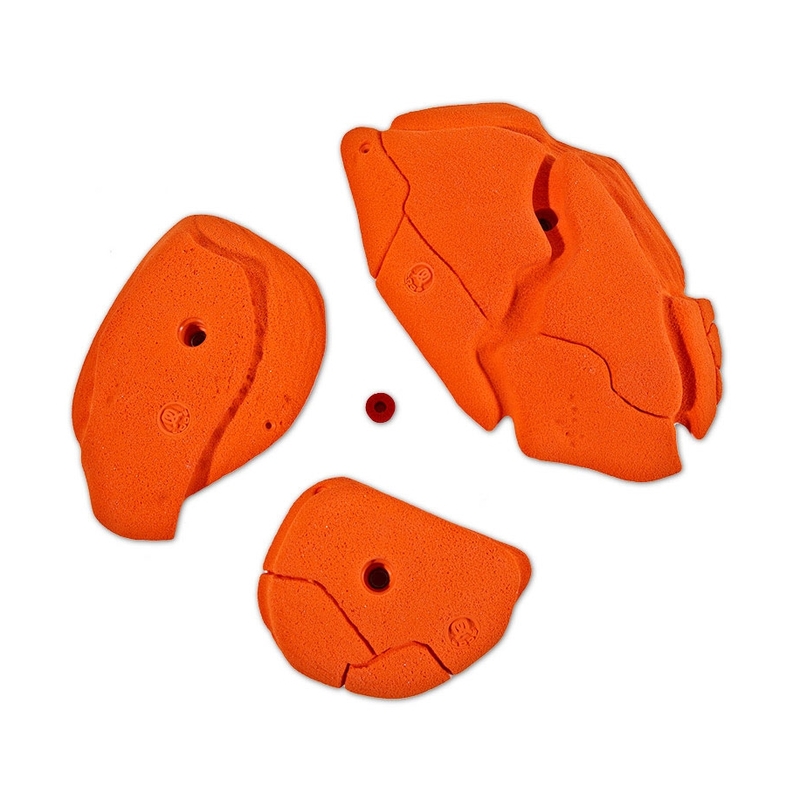 Positive contact area means these holds can be used on many different set ups, flat to very steep routes and boulder problems.